Let us stop the world if just for a half an hour! We love to get away to a vacation but often the cost and the preparation is beyond us. 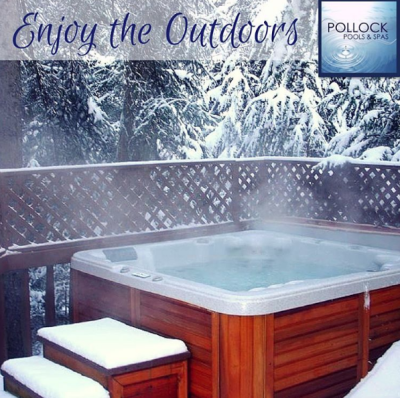 Escape out your back door and let warm water dissolve away stress every night. Imagine yourself on that tropical island of your dreams. The effects of a warm soak with muscle relieving action can melt away the worries and pains of a day. All of this sounds amazing doesn't it? Consider a hot tub in your back yard. Weigh the cost of a vacation vs. the benefits that keep giving every day all year round. "In order to become a man/woman of knowledge, a Warrior Traveler, you first have to learn to stop the world." - Don Juan, Native Shaman . Location is very important. 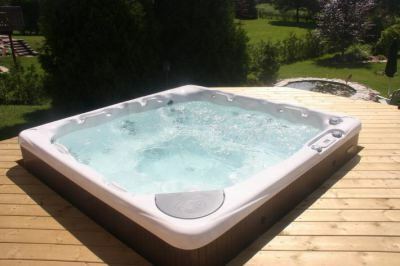 Place your hot tub close to your back door. Less than 10 feet away will ensure you will use it in inclement weather. Create a room outside that allows privacy. Remember, this is your escape that will rejuvenate you. 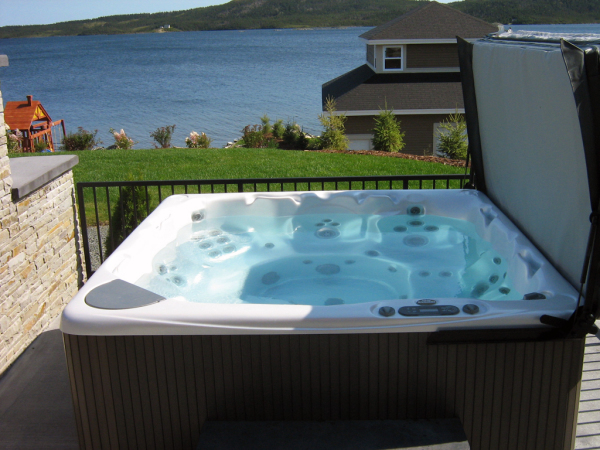 Electrical hook up of a tub must be done by a certified electrician and inspected. Tubs need 40 to 60 amps of power. Choose the tub that will suit your home and your needs. Hot tubs come with large awkward covers. Covers need room to be folded in 1/2 and pushed out of the way. There are several different cover lifters to suit the needs of space constraints. Chemical maintenance is an essential part of routine care of your tub. 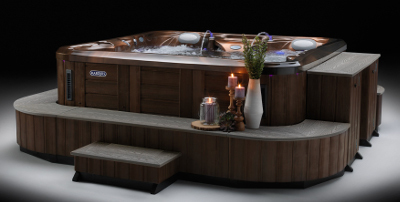 Discuss regimes and options with your hot tub dealer. They will guide you to find what best suits the needs of you and your family. Your dealer will educate you on water analysis. Maintaining healthy water is essential in the enjoyment of using your tub. And use your hot tub often. 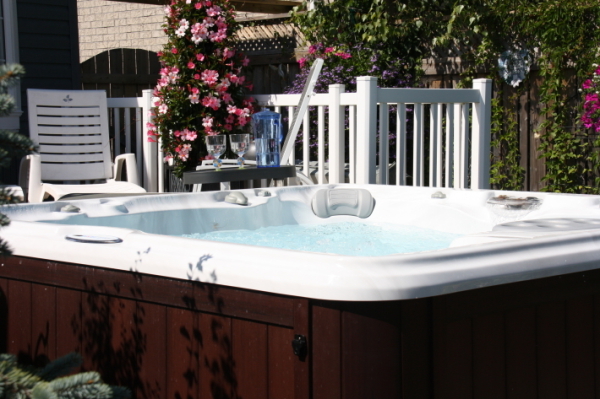 With your hot tub you can look forward to more relaxed daily living ready to pursue your higher goals. Hydrotherapy is the combined effect of heat, massage and buoyancy. Warm water dilates blood vessels, increasing blood flow to sore or damaged tissues, allowing oxygen and nutrients to help overworked muscles recover faster. Massage, provided by the spas jet system, relaxes tense muscles and relieves pressure on surrounding nerves. Massage also improves circulation and accelerates the bodys natural healing process. Buoyancy reduces your body's weight by 90%. This relieves pressure on strained joints and muscles. Hydrotherapy is widely recognized as an effective method of alleviating the tension commonly associated with stress. The benefits of soaking in warm water have been known for over 5,000 years. Increased blood circulation will lower blood pressure, relieve fatigue, aid in tissue repair caused by muscle pulls and strains, and relieve pain. Water jets gently massage muscles relieving pain and stiffness plus the pressure will naturally flush away lactic stored in sore muscles. Since water helps to support your body and provides gentle resistance it is an incomparable exercise location for rehabilitation as well as chronic conditions related to arthritis, neck, shoulder and back pain. Floating in warm water releases feelings of euphoria, relaxation, and tranquility. These stress relieving states can combat stress, sooth the nervous system, and treat insomnia. Added stress can lead to high blood pressure, accelerate aging, make you vulnerable to illness, and impair your immune system's ability to fight inflammatory diseases like allergies, chronic fatigue syndrome, and rheumatoid arthritis. Raising your body temperature stimulates your immune system and increases the production of antibodies and virus- fighting interferon. With our spas we offer many hydrotherapeutic jets that are beneficial to your health. Tharapeutic Jets can manipulate water to provide many different massages that leave your body feeling fresh and rejuvenated. Hydrotherapy is even recommended by profesionals for its soothing affects on athritis. Therapy jets can from deep tissue massages, soft tissues, sports massage techniques. Strong, firm, pulsating massage for large muscles adjustable flow options for different water paths, volumes, and pressures. Massages deep tissues in major muscle groups adjustable option of high or low impact massage Adjustable pulsing or constant stream. Medium tissue massage with rotating or streaming water patterns. Powerful deep muscle massage simulates therapeutic treatment for sport related injuries.